Another great savoury nut recipe, eat as is or add to a favourite noodle dish or stir-fry. In a medium sized bowl, whisk together all ingredients except the cashews until well combined. Add the cashews and toss through the mixture until well coated. 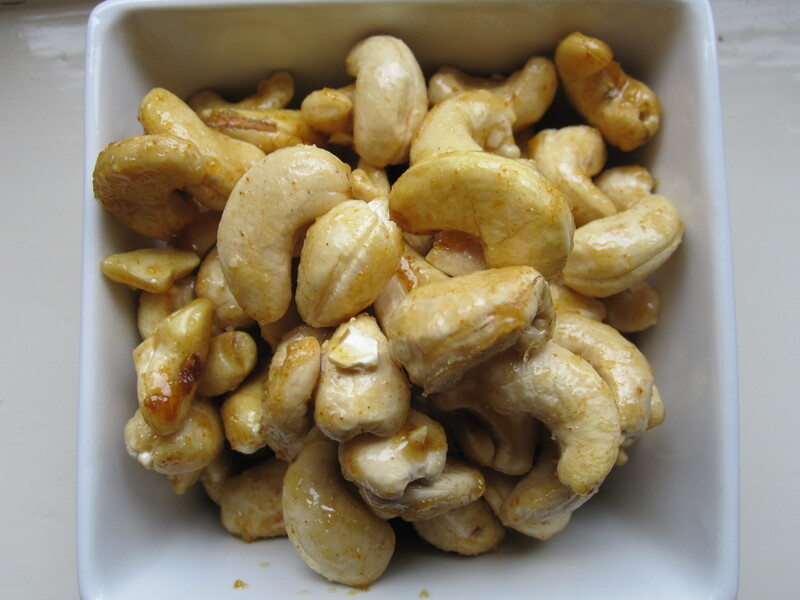 Place the coated cashews on a lined dehydrator tray and dehydrate (at 115 degrees Fahrenheit) for 24 hours. Half way through dehydrating, stir the nuts through the mixture on the tray.